We all know the feeling; the weather starts to turn a little warmer and we all want to head out to bask in the sunshine. The same is true for your cats. They seem to love nothing more than lazing around in the sun warming themselves up and relaxing. When it comes to humans we all know that it is important to take care of our skin when topping our tans but do we realise that this is also important to take care of our cat’s skin too? Between the summer of 2014 and summer 2015 the vet charity PDSA stated that their pet hospitals saw 29 cases of skin cancer, the majority of which were in cats. There were also a number of cases of cats and dogs suffering from sunburn. So which cats are more at risk? There are a number of breeds of cats that require extra care in the sun. White cats, hairless cats or those with thin fur (such as Siamese) are most at risk as they have less fur to protect them against the UV rays of the sun. What can I do to protect them? You know how easy it is to look after your skin in the sun; simply rub in some cream and you are good to go. The same is true for your cat. There are a variety of pet sun creams available in pet stores and online which can be used to protect those patches of your cat which has thin fur. Nose, ears and other vulnerable areas should have a thin layer of cream applied before they head out into the sunshine. You should also limit their time in the sunshine; especially during those parts of the day that are the hottest. I am worried about skin cancer; what can I look out for? If you are concerned about skin cancer in your cat, then there are some early signs that you can look out for in order to get them straight to the vets for treatment. Ulcers and sores are one of the first signs that there might be an issue with their skin so make sure you have these checked out as soon as you can. Some cats may even have skin that is starting to turn black; this is particularly noticeable on white cats. Caught early, skin cancer in pets can be survived. The vet may recommend surgery to remove the affected skin or tumours that you have found. It is also likely that they will suggest chemotherapy and radiotherapy alongside surgery for maximum chances of survival. So whilst the sun is shining let your cat get out there and enjoy it, but make sure that you keep an eye on their skin. Did you know your cat can get sunburn? 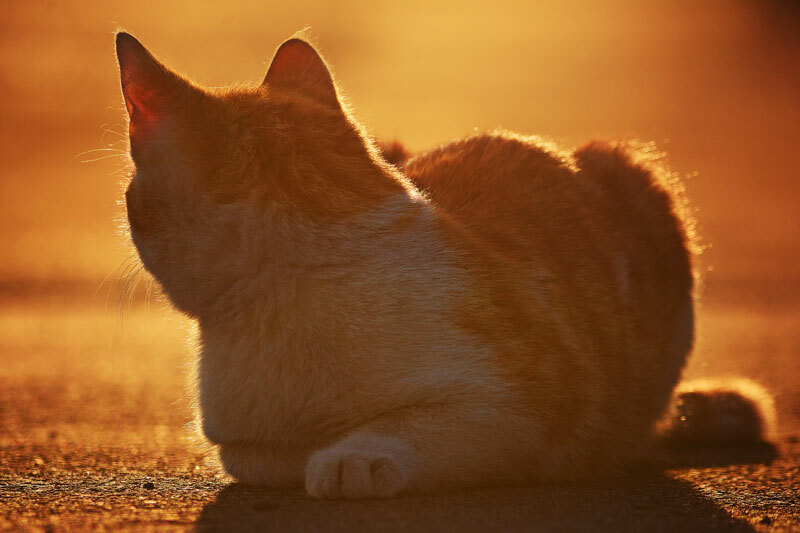 We look at sun safety for your cat what to lookout for in the upcoming summer months. This entry was posted in Cats, Health and tagged Care, health, Sun.